Scotch Heavy Duty Packaging Tape With Dispenser Just $1.27 Each! PLUS FREE Shipping! You are here: Home / Great Deals / Amazon Deals / Scotch Heavy Duty Packaging Tape With Dispenser Just $1.27 Each! PLUS FREE Shipping! One thing we all know is after the holidays we want to get organized to start the new year off right! So, this deal may be one you need to jump on now to be prepared! 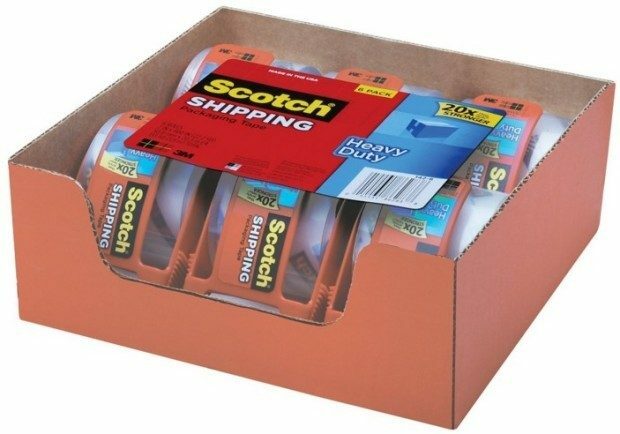 You can get this Scotch Heavy Duty Shipping Packaging Tape with Dispenser (6-Pack) on sale for $8.99 right now. But, when you check out through Subscribe & Save, you’ll get it for just $7.64 PLUS FREE shipping! That makes them just $1.27 per roll!